Nokia is willing to pay you as much as $300 toward the purchase of a Nokia Lumia model in the form of a pre-paid Visa card. All you have to do to receive the card is to trade-in your current smartphone in what the Finnish OEM is cleverly calling a Trade-Up. 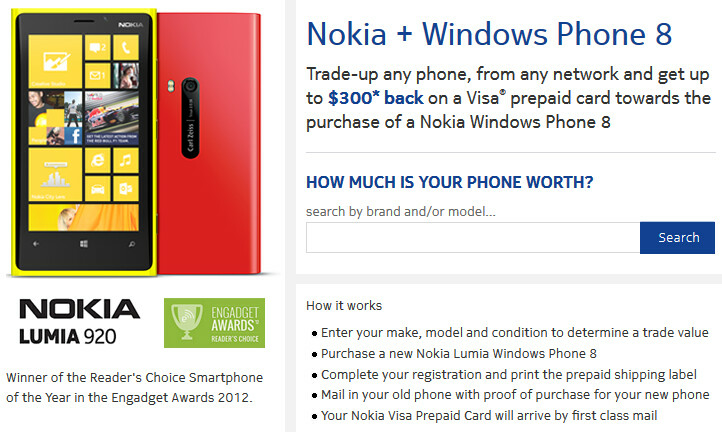 First, you need to visit the Nokia Trade-Up web page that tells you the value of your trade. You are asked to punch in the make and model of the phone you are trading, reveal the carrier you use, and answer some questions about the condition of the phone. An Apple iPhone 4 on Verizon, for example, shows a value of $90 in working condition. If you are happy with the dollar amount offered, you can save it and receive an email confirming the offer. Your next step is to go to the store and purchase a Windows Phone 8 powered Nokia Lumia smartphone. Once that is accomplished, you complete the registration and print the pre-paid shipping label. Mail Nokia your trade-in with the proof of purchase from your new Nokia Lumia handset and you will receive the Visa card by first class mail. 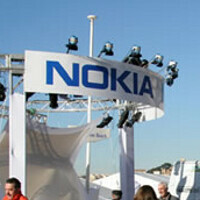 Head over to the sourcelink now to see how much Nokia will give you for your trade-in. It's the first step to take on the road to scoring that new Nokia Lumia model you've been wanting. Keep in mind that this deal is available only in the U.S. I think I will do this once the EOS is announced. That is, if the offer remains. Better give me a lot for my crappy Lumia 900. $84 for my Lumia 900! I hate you Nokia. Guess they know how garbage their phone is now. my phone... $10. That's like 2 burritos. Be nice if the link actually worked!! Bring it in India also.